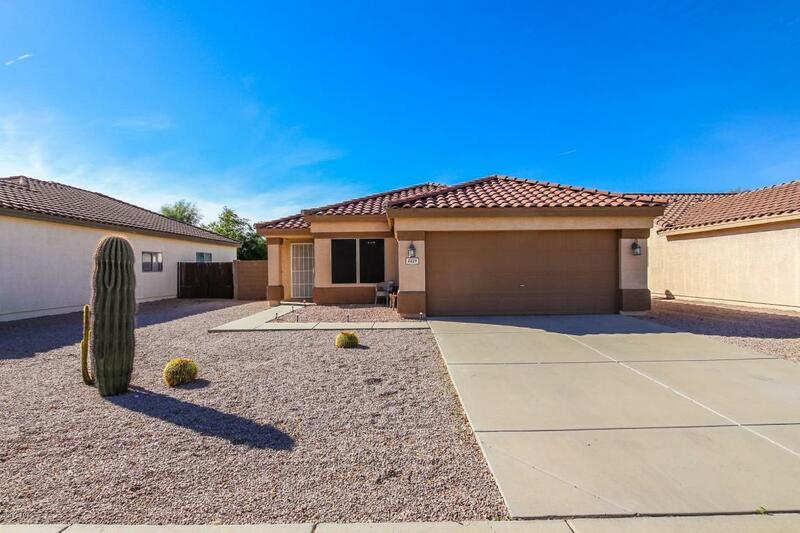 Living is easy in this impressive, generously spacious residence! 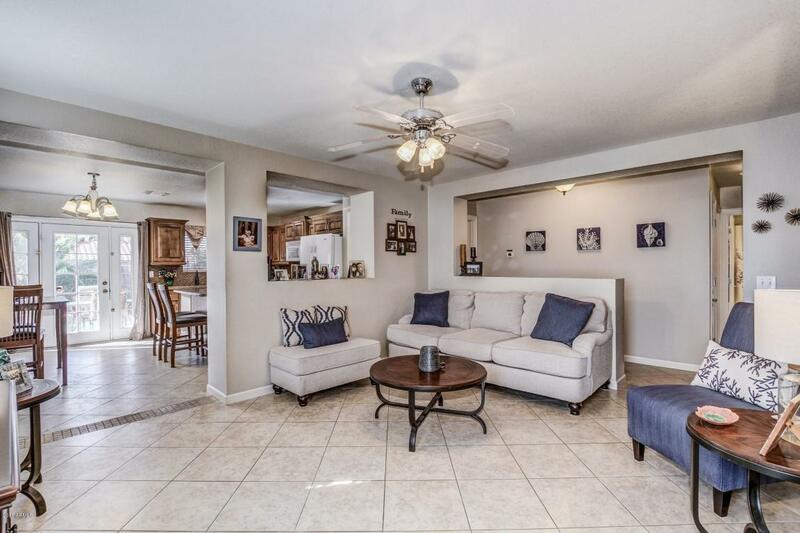 This immaculate, professionally designed home invites both comfort and warmth. Generous living spaces and stylish finishes throughout. 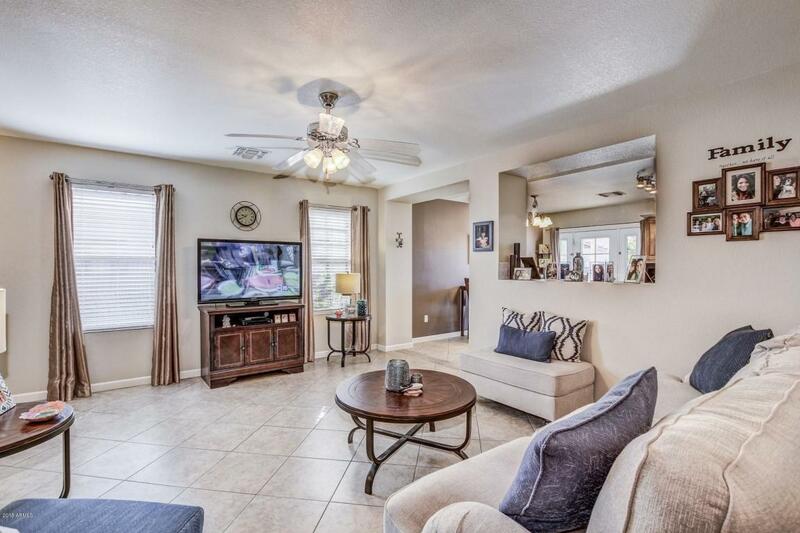 Ceiling fans and gorgeous tile flooring. Light, bright island kitchen that features custom designed staggered cabinets w/ solid doors, custom hardware, granite counter tops, under mount composite sink, tiled backsplash and pantry. Spacious bedrooms with gorgeous laminate wood flooring. Master bedroom features patio access and beautifully designed bathroom. The 3rd bedroom's custom Murphy bed creates the best of both worlds, from bedroom to office space. Awesome back patio that overlooks the pristine heated play pool/spa, a perfect setting for those hot summer days or relaxing at night. 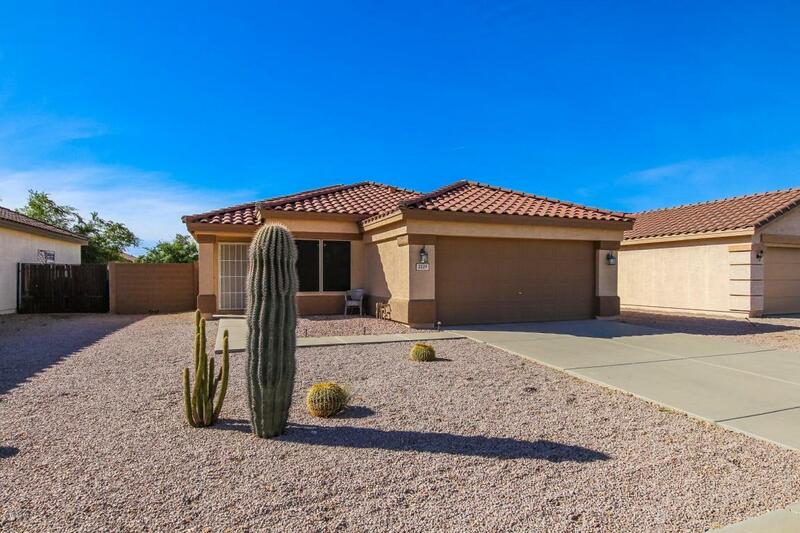 Listing courtesy of Sonoran Desert Realty.